Our two properties are warm and welcoming for 2019! Two pet friendly properties at same location ! May - enjoy the quiet beaches afore the main holiday season ! 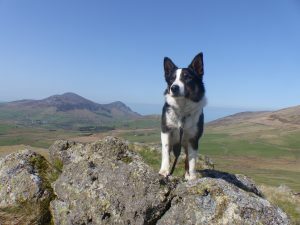 Do come and visit us soon and see Snowdonia - recently voted as the UK's most spectacular view ! "A little gem set in the most wonderful place on earth. Thank you for making us feel so welcome - can't wait to come back"- The Bithells. "We don't care about the weather as long as we can come here" - the Byrne family. 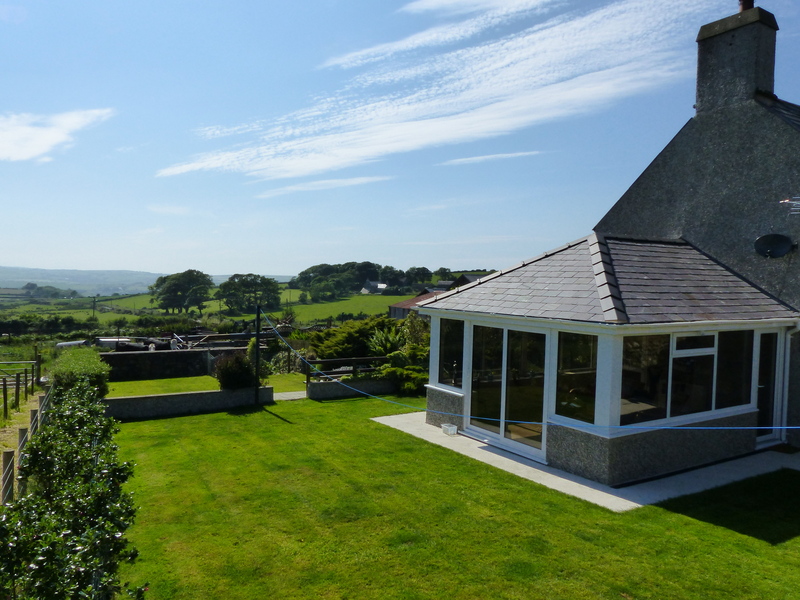 Self-catering cottage with new conservatory overlooking beach for up to 5 guests. A warm Welsh welcome awaits you here at Cae Garw holiday accommodation on the beautiful Llyn Peninsula in North Wales. 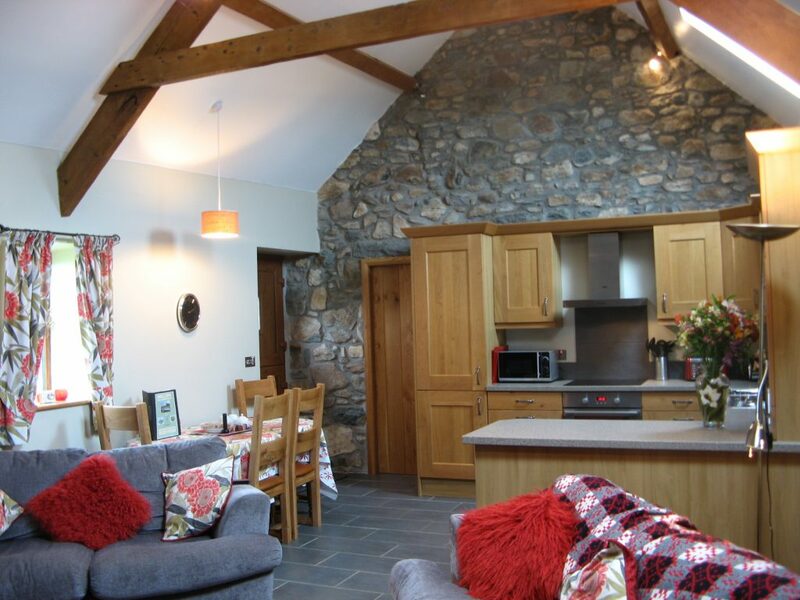 Our new barn conversion and farmhouse cottage offer 2 quality self catering accommodations in peaceful, tranquil and unhurried surroundings - the perfect place to relax on your holiday. With our wide local knowledge of the surrounding area , stunning scenery and sea views, - we can help you make the most of your stay. Situated in the heart of the Lleyn Peninsula - we have the beaches of Abersoch, Nefyn, Pwllheli, Hell's Mouth Bay, Aberdaron, Ty Coch Porthdinllaen and Whistling Sands all within a 20 mins drive from the properties . Visit a different beach each day of your holiday - and enjoy and a variety of watersports that the peninsula has to offer! With Snowdonia National Park less than an hour's drive away , we are conveniently located for visiting such attractions as Caernarfon Castle and its rich heritage, the botanical village of Portmeirion, or Snowdonia's adventure based holidays such as Zip World Velocity , Titan & Safari. You could opt out for the more scenic Bodnant Gardens - or the Snowdon Mountain Railway one of the main tourist attraction of Wales .. Enjoy a walking holiday following the Lleyn Coastal Path - discovering hidden coves and quiet beaches, follow the ancient pilgrim's trail to Bardsey Island - or simply relax while inhaling fresh ocean air of this beautiful area of North Wales. The farmhouse cottage offers unrivaled views of Hell's Mouth Bay from the sun lounge, while the newly converted barn has a downstairs bedroom and bathroom for the more infirm of guests. Both properties have free Wi-Fi. Both properties are strictly Non Smoking. Dog friendly accommodation - well behaved pets are welcome. Open all year - we offer weekly lets as well as out of season short breaks - ( please contact us for any last minute offers we may have).